1849 was a devastating year for John. On the 19th of Sep his son Milton age 8 died. Then two days later daughter Annette age 5 died. Ten days later his oldest daughter Fidelia died at age 12. And on the 4th of December his wife Damaris died. [S1224] James, family tree titled "The Sargent-Sergent Family Tree", published by Ancestry, wc.rootsweb.ancestry.com, from database named sargent-sergent, updated Jul 2009, viewed Jul 2012. [S1433] 1860 US Federal Census, Swanzey, Cheshire County, New Hampshire, digital image Ancestry.com ; National Archives micropublication, John S Sargent, roll M653_668, page 501. [S1434] 1880 US Federal Census, Swanzey, Cheshire County, New Hampshire, digital image Ancestry.com ; National Archives micropublication, John S Sargent head of household, roll 761, enumeration district 65, page 237A. [S29] Aaron Sargent, Sargent Genealogy in England and America, Somerville, MA: privately published, 1895, p 113. [S1441] Steven Lynn Dahlstrom, family tree titled "Descendants of Joseph Benis -29Sep09", published by Ancestry.com, wc.rootsweb.ancestry.com, from database named twotacky1, updated Nov 2010, viewed Mar 2011. [S1435] 1850 US Federal Census, Marlborough, Cheshire County, New Hampshire, digital image Ancestry.com ; National Archives micropublication, Jedediah T Collins head of household, roll M432_427, page 157A. [S1684] 1860 US Federal Census, Marlborough, Cheshire County, NH, digital image Ancestry.com ; National Archives micropublication, Jedediah T Collins head of household, roll M653_668, page 184. [S1435] 1850 US Federal Census, Marlborough, Cheshire County, New Hampshire, digital image Ancestry.com ; National Archives micropublication, James Newell head of household, roll M432_427, page 164A. [S833] Jonathan Kettl, family tree titled "Hewett Family", published by Ancestry.com, wc.rootsweb.ancestry.com, from database named :3208516, updated Apr 2007, viewed Feb 2014. [S1435] 1850 US Federal Census, Marlborough, Cheshire County, New Hampshire, digital image Ancestry.com ; National Archives micropublication, James Newell head of household, roll M432_427, page 164A . (The record actually says L Canada which is presumable Lower Canada). [S3057] 1900 US Federal Census, Malden, Middlesex County, Massachusetts, digital image Ancestry.com ; National Archives micropublication, George Sargent head of household, Ward 6, roll T623_662, enumeration district 848, page 6B. [S3057] 1900 US Federal Census, Malden, Middlesex County, Massachusetts, digital image Ancestry.com ; National Archives micropublication, Susie Peckham head of household, Ward 6, roll T623_662, enumeration district 848, page 6B. Mr. and Mrs. S.H. Marsden celebrated their 40th wedding anniversary last Sunday. There were over 40 relatives and friends who assembled to assist them in celebrating the event. 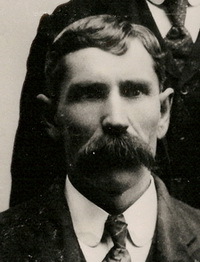 Mr. and Mrs. Marsden's daughter, Mrs. Ruth Pike, and her two sons of Lampson, this state, were present, but their son, Stanley, of Escadia, Ore., was unable to come. Among the out-of-town people were Mr. and Mrs. Wm. Horning of Red Wing. [S3426] Find A Grave: Hartland Presbyterian Cemetery, Ellsworth, Wisconsin, Silas Henry Marden, created by Sharon Sabel Pike & Gareth Horvath, added Sep 2008, memorial number 30181629. A notice was published Obituary handwritten by Ruth Marden Pike at the time of her mother's death. Copy in possession of submitter. 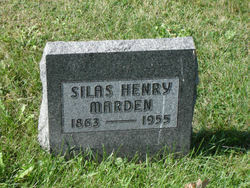 Mrs. Silas H. Marden died Monday night after an illness of a few weeks duration. Edith Eugenia, second daughter of Mrs. Carrie Leonard, was born in St. Albans, Vermont on Sept. 11, 1867. In infancy she came to Wisconsin with her family and lived on a farm near Elllsworth until she grew to young womanhood when she was united in marriage to Silas H. Marden who survives her. The first eighteen years of her married life were spent on their farm at Ottman's Corners. 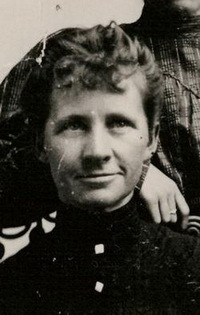 Then they moved to Shell Lake, Wisconsin and made their home in that vicinity until eight years ago when they returned to Ellsworth and purchased the farm on which they were living at the time of her death. [S4537] Sharon Pike, e-mail message to Linda Sargent Reinfeld, located on the Ancestry.com, received 3 Mar 2014. [S3426] Find A Grave: Hartland Presbyterian Cemetery, Ellsworth, Wisconsin, Edith E Marden, created by Sharon Sabel Pike & Gareth Horvath, added Sep 2008, memorial number 30181594.